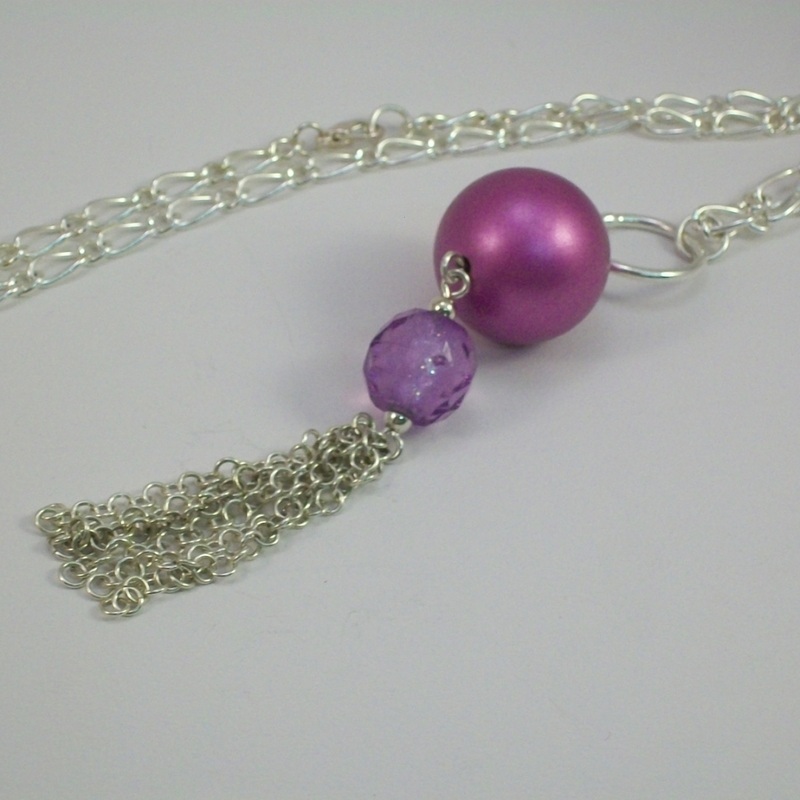 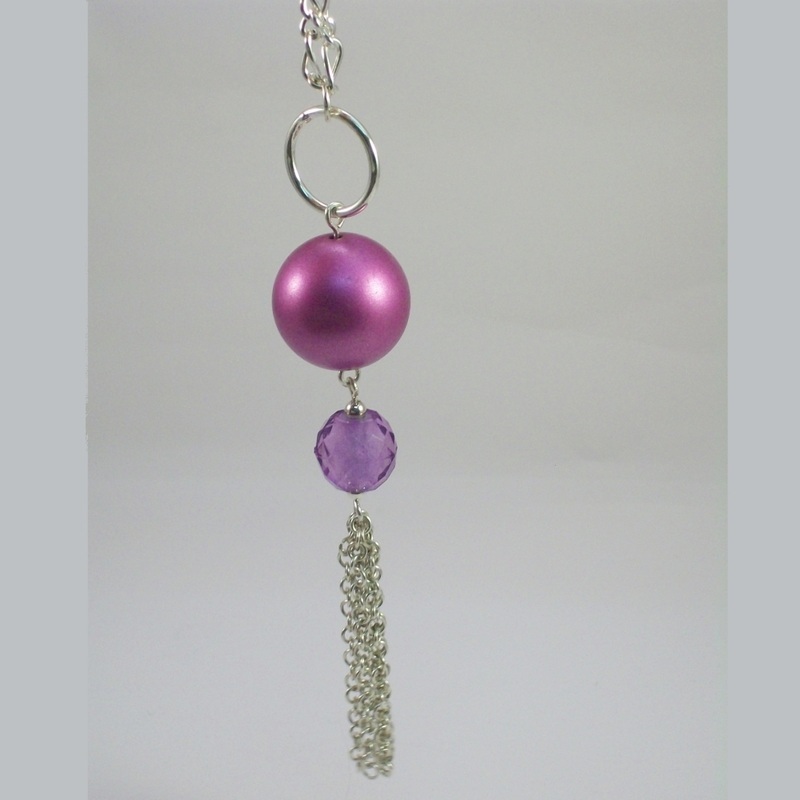 Large, elegant pendant featuring a 25mm dusky pink acrylic pearl hung from a silver hoop, with a clear lilac bead and finished with a tassle of handmade chains. 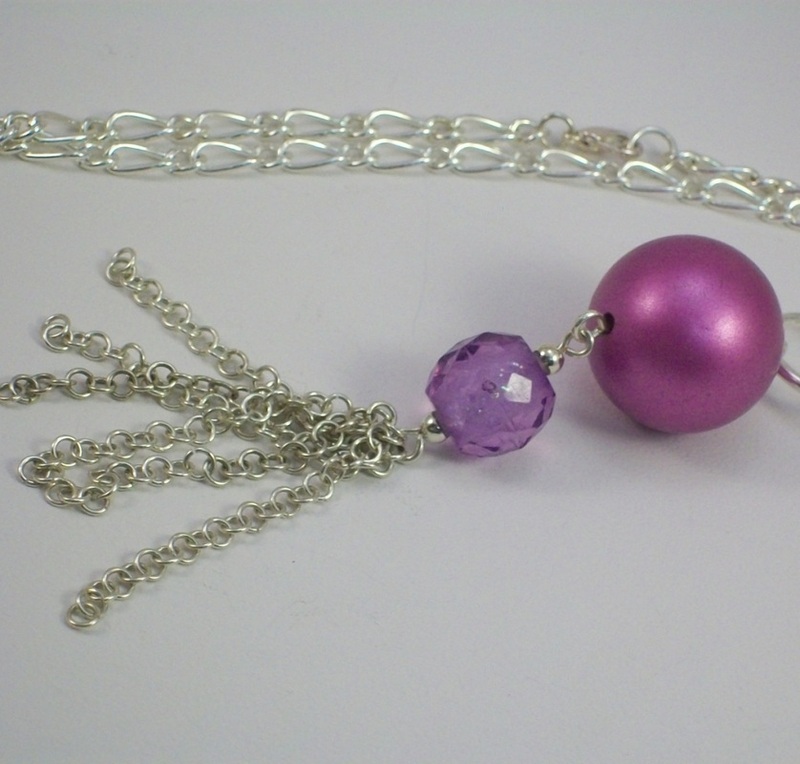 Pendant is 5" drop. 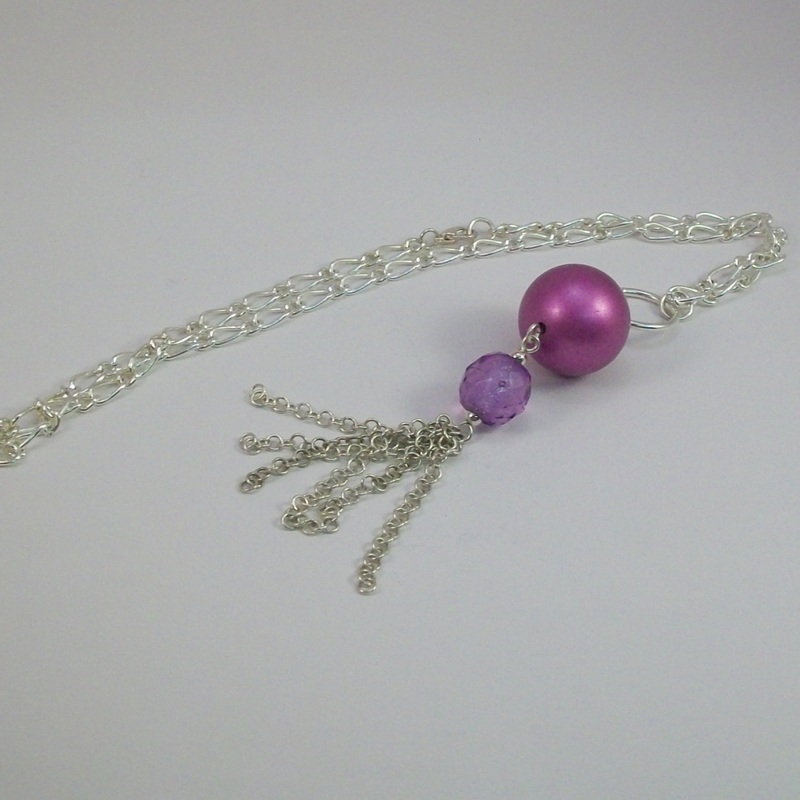 Complete with 20" figaro chain with lobster claw clasp. All chain and finds are silver plated and nickel free.